It’s time to get weird! 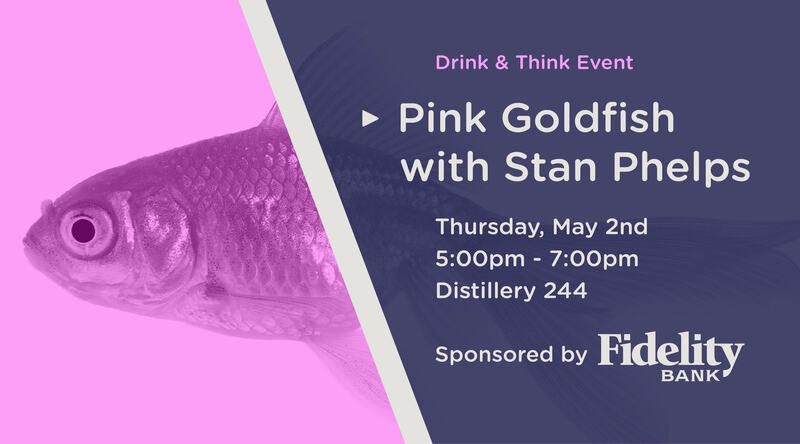 Stan Phelps is the author of ten books including Pink Goldfish which teaches you how to defy normal, exploit imperfection and captivate your customers! If you want to help your company stand out in a crowded marketplace, you don’t want to miss this opportunity to learn from Stan. He is a Forbes Contributor, TEDx Speaker and IBM Futurist focusing on how customer experience and employee engagement can drive differentiation, increase loyalty and create word of mouth in business. Meanwhile, we’re getting weird with our event format! Come wind down with us after work and enjoy two free drink tickets as part of your price of admission!